You'll practically hear the sound of waves crashing on a warm, sunny beach with this beautifully crafted Ocean Waves quilt. 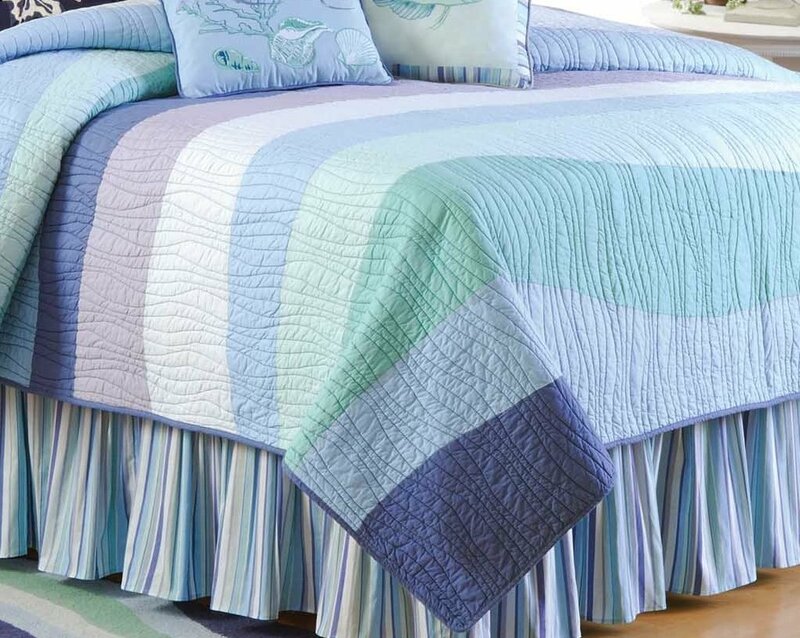 Rolling waves adorn this quilt in fresh summer shades of ocean & sky blue, seafoam & mint green, and lavender. Reverses to a coordinated stripe in the same colors. 100% cotton with cotton fill, the Ocean Waves quilt is Luxuriously Oversized and perfect for a beach house retreat, or that special "summer room" in your home.